Today we have a lot of new posters including a new one for The Place Beyond the Pines, a high-flying one for Disney’s Planes and another promised-filled poster for Room 237. 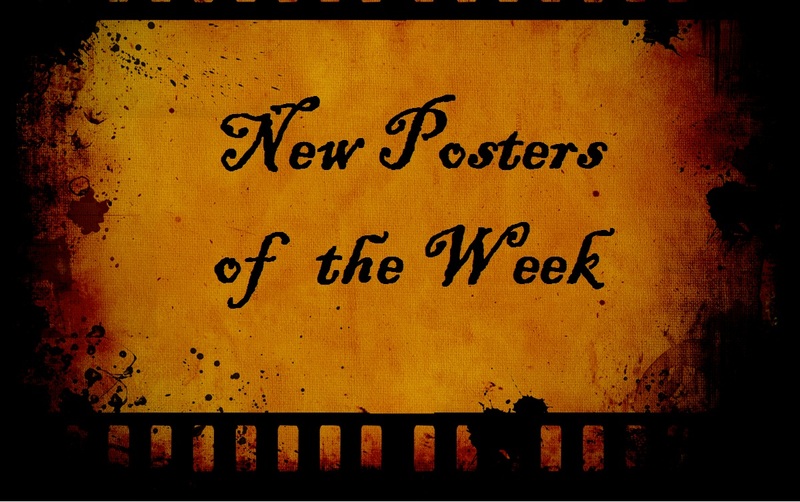 Also today, guest and fellow blogger of good taste Bubbawheat from Flights, Tights and Movie Nights joins me in sharing thoughts/opinions of this week’s poster offerings. Thanks to him for joining me today. Be sure to visit his fun site full of expertise on comic and superhero movies (HERE). Bubbawheat– Wow, you’re right about there being too many to choose from. I honestly don’t think I would have given The Conjuring more than a casual glance, but since you got me looking closer at it, I realize it’s a really well designed poster with a lot of touches you don’t notice right away. I also like the pop of color in the Errors of the Human Body poster. I’m not entirely sold on the White House Down posters, if I didn’t already know what it was about, I’m not sure the posters really tell me all that much. Fill the Void is an interesting concept, having the white void of the wedding dress, but the problem is that there is a still a giant void in the poster. The ones I didn’t like much was Hammer of the Gods, is that an Asylum movie? Because that’s what the poster looks like. And that is a really weak pose for Wolverine, and the background really doesn’t sell the fact that he’s in Japan. Thanks for having me on! Next The 2013 LAMMYs are HERE! Hi Jenny, thanks for stopping in. That Spring Breakers poster was a last minute add-on as it published online shortly before posting today’s spotlight…and I like it. It’s different from the neon-colored loud posters that we’ve seen already. I liked Wedding Crashers too and hope The Internship is okay, but I have a feeling it will only be so-so. The poster for ‘Ender’s Game’ looks interesting. So does the one for Pixar’s ‘Planes’. Though the green plane is a WWII P-40 Warhawk. Which could dive and strafe like crazy, but wasn’t very fast. The orange and white is an Ag-Cat Agricultural Crop Duster. Made to fly low and slow. White the white and red is a 1930s British Gee Bee (Great Britain) Racer and really should be in the lead. But hey, it’s Hollywood and Pixar. Also like the collage type poster for ‘Arthur Newman’. Technically, it’s not Pixar. Disney’s in-house animation took the property and is doing the spin-off of Pixar’s Cars. It’s a bit of a weird technicality since they’re both Disney now. Looking forward to it since I talked to one of the storyboard artists for my own site, Robb Pratt. The Arthur Newman is a pretty good version of the collage poster which I generally dislike. LOL!!! Safety Last? I love it bro!!! Harold Lloyd is my favorite silent comic ( yep, I said favorite). LOVE the poster!!! haha. Glad you like it. I was curious if anyone would pick up on it. I love the posters for Spring Breakers! I really like that one myself. It’s different than the loudness of the other ones. Bubba’s right about the Hammer of the Gods poster making it look like an Asylum knock-off… my first thought was “knockoff of Clash of the Titans. Calling it now: it’s a stinker. Fill the Void has too much void in its poster. But I like the minimalist poster for The Place Beyond the Pines. Funny how white space can be interesting in one place and not the other. Ender’s Game has a pretty good, if standard, sci-fi poster. Hope the movie’s good. Hope they have the sense to stay away from the sequels. I like the poster for The Conjuring except for the loathsome “based on the true cases…” bit. Hate that. Hate it, hate it, hate it. The poster for Errors of the Human Body is OK, not great, but the title is interesting. i know what you mean about the “based on the true cases” tagline of The Conjuring. horror movies love to use that line. bleah.